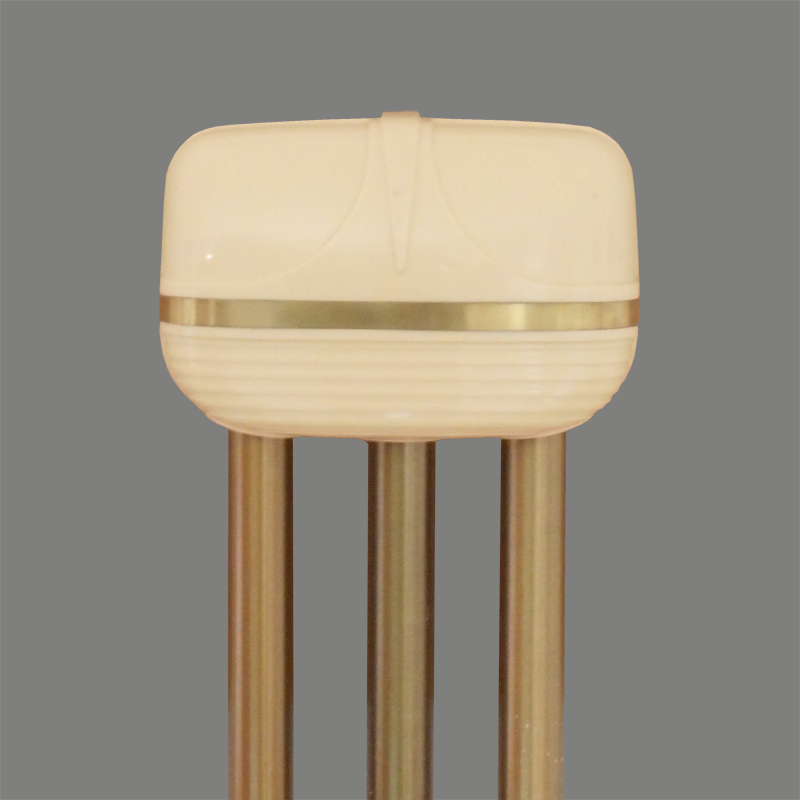 The NuTone K32 Continental was one of NuTone’s first postwar chimes made out of one of the new plastic materials. Introduced in 1948, the K32 proved to be quite popular. 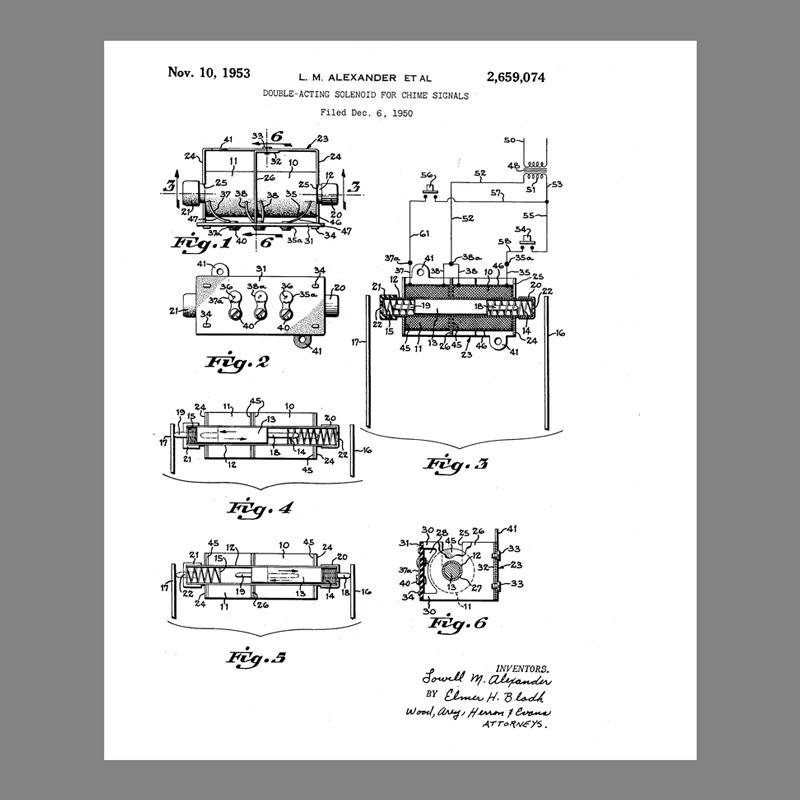 The cover is made of styrene plastic, although there are some examples with a pressed steel cover. 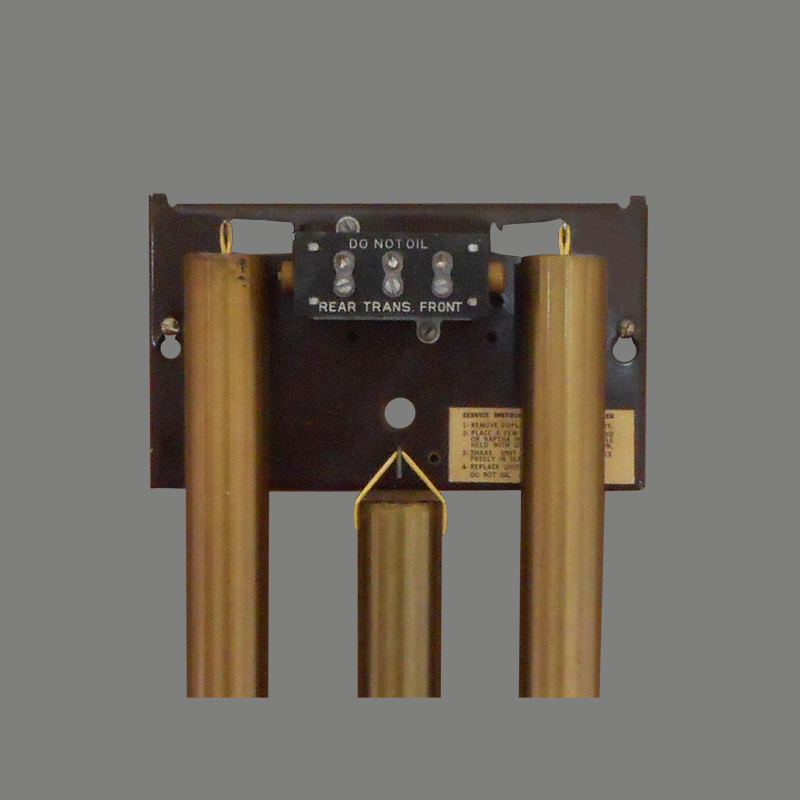 This example is of later manufacture as it employs the double acting solenoid patented in 1953. 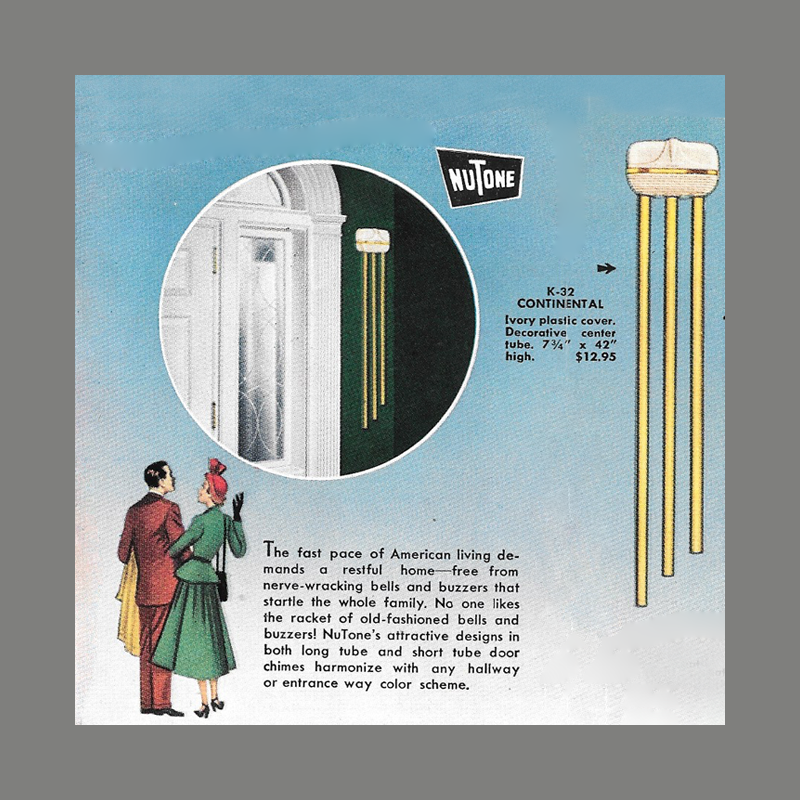 Coincidental to the post-war building boom, NuTone had expanded into other product lines, with one of the first being ventilating fans. The K32 Continental was marketed side-by-side with a new kitchen fan. 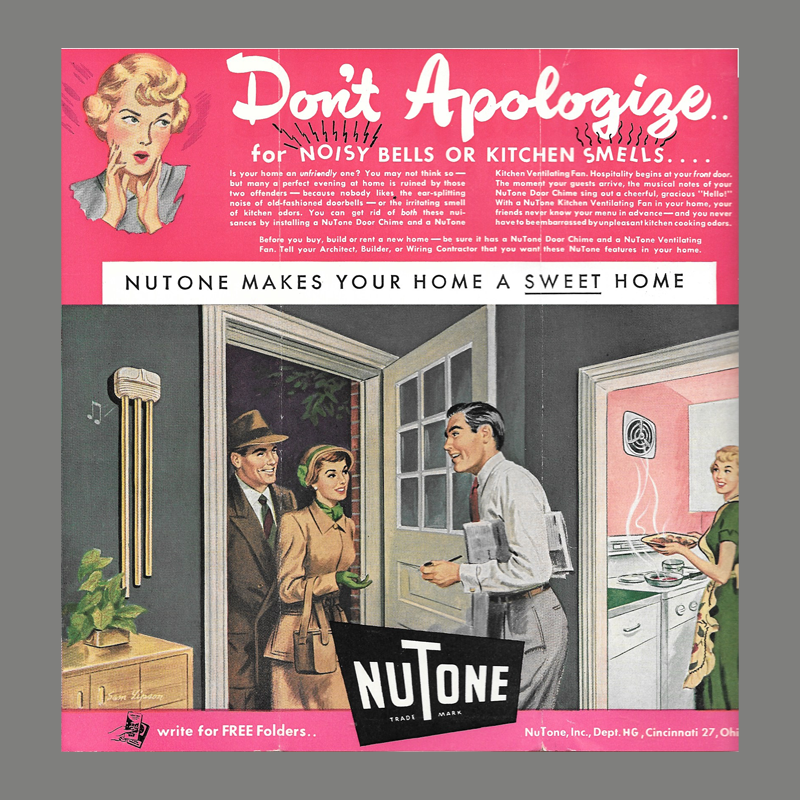 Advertising warned customers of the dual perils of “noisy bells and kitchen smells…because nobody likes the ear-splitting noise of old-fashioned doorbells—or the irritating smell of kitchen odors.” Apparently, smoke from tobacco pipes was not yet on the public enemy list.